Montclair, NJ (December 19, 2011) – Hal Leonard Books, the musician’s best source of books on the music business, audio technology, instrument history, and more, has published Music 3.0: A Survival Guide for Making Music in the Internet Age ($24.99) by veteran music and technology author Bobby Owsinski. This second edition takes a cutting-edge look at the music business as we know it today – and where it’s going tomorrow. Music 3.0 is a completely updated edition of the original best seller, featuring the latest music business and social media concepts as well as brand-new interviews with a variety of the industry’s top movers and shakers. 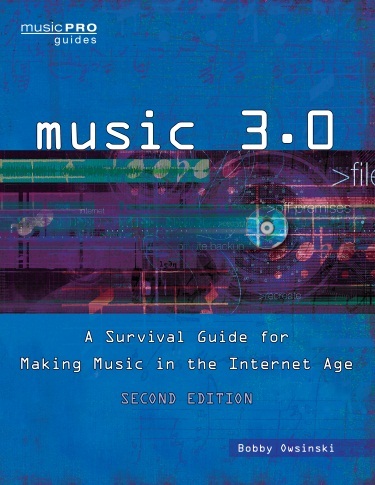 Music 3.0 not only looks at the music industry’s evolution and how we got to Music 3.0, but also provides the information that today’s musician or music business executive needs to take advantage of the new music industry paradigm. What has changed? Who are the new players? Why are traditional record labels, television, and radio no longer factors in an artist’s success? How do you market and distribute your music in this new world? How do you make money in this new music world? How do you develop your brand? How do you use Facebook, Twitter, and YouTube as marketing tools? What are the new technologies that are being introduced that will influence how we sell or market? All these questions are answered in the book. This second edition also contains new low-cost high- and low-tech tips for marketing and promotion. Bobby Owsinski has become one of the best-selling authors in the music recording industry, with thirteen books that are now staples in audio recording, music, and music business programs in colleges around the world. Owsinski is also a producer of several music-oriented television shows and can frequently be seen as a moderator, panellist, or presenter at a variety of industry conferences.